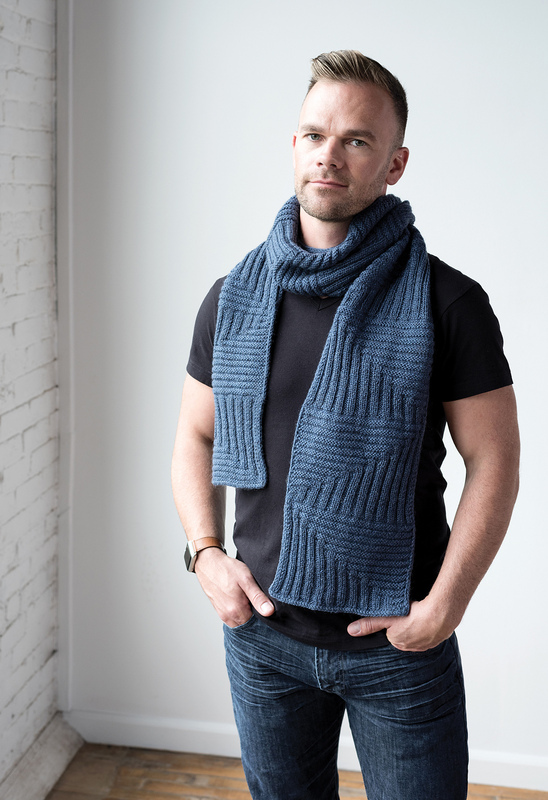 A modular, geometric scarf, made up of straight lines that meet to create diagonals. The scarf is built out of two repeating blocks, knit with only vertical and horizontal ribbing. Each block is an isometric transformation of the other – a horizontal reflection and a vertical translation. The scarf features an I-Cord cast-on, bind-off as well as narrow I-Cord selvedges.